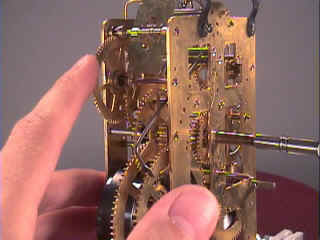 Clock repair & watch Repair DVD and online video courses for antique watches clocks. Watch and learn antique clock and watch repair through DVD course instruction using actual live repairs!! If you want to enjoy antique clocks and watches as a hobby, start a clock and watch repair business, or just repair your own clock and watch collections, these DVD courses are for you. Each course has 4 to 4.5 hours or more of easy to learn antique clock and watch repair DVD instruction. A course repair manual is included. There are no other clock or watch repair courses available on DVD or video with this amount of instruction, content, and detail. Filmed in high quality digital video for superior DVD visual clarity. Watch, learn, and understand with close up shots of actual live clock and watch repair demonstrations. 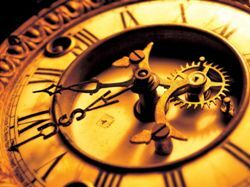 These courses will teach you museum quality restoration and repair of antique clocks and watches. Students of each course will learn the necessary steps to successfully repair many problems encountered with antique mechanical clocks and watches. Go to the testimonial section. Read what our students say about these courses. Why learn with DVDs versus the classroom or books? 1. Introduction to Watch Repair & The Watch Repair Course - Beginner watch repair New release! Widescreen! 2. Clock Repair 1 & 2 - Beginner clock repair course New expanded third edition! NEW 2019 SPECIAL!! STARTING TODAY!! Buy any 3 or more of the above DVD courses and receive unlimited access to the online library with over 100 books and videos! See our ads in the issues of "THE MART" from the National Association of Watch and Clock Collectors and the "Horological Journal" - Official Journal of the British Horological Institute and British Horological Federation. Copyright 2001-2019 by Tick Tock Productions Copyright 2001-2019 by John Tope All rights reserved. Antique clock and watch repair courses on DVD with course manuals. Watch real antique clock and watch repairs performed live on video DVD. 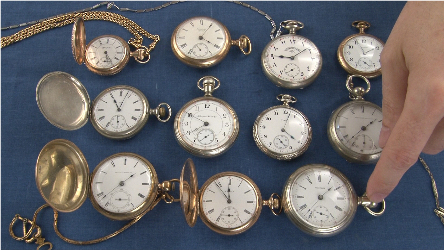 Watch, study and learn to repair antique clocks or watches using DVD course instruction. A manual is included with each video course. If you know of someone who may be interested in clock or watch repair, please share by forwarding this page. Click here to open your email. Copy and paste this web address for this page into your email.